Karina's Kreations: My Coffee Talk Swap!!! I wanted to share my coffee talk swap with you. 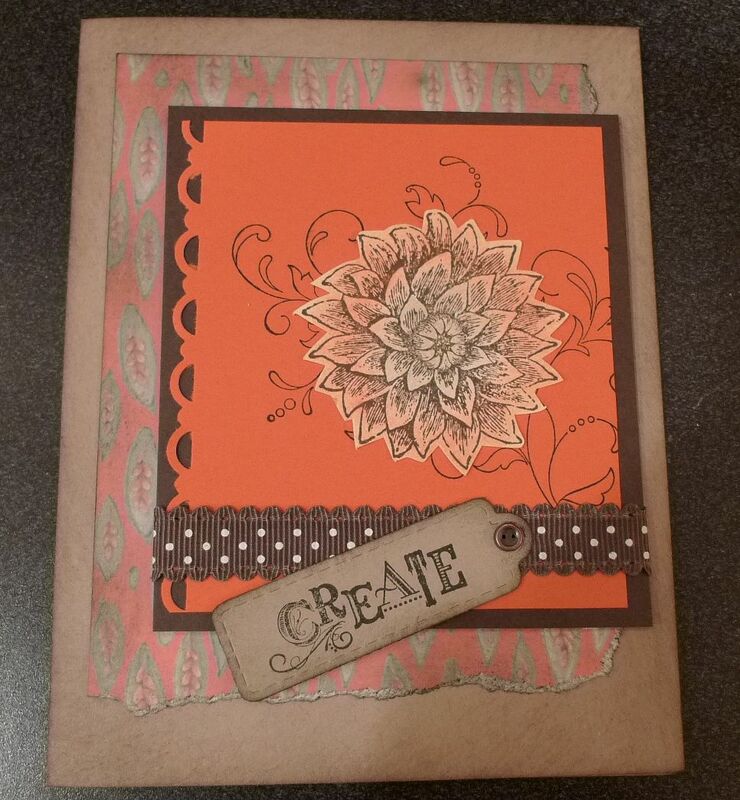 I made it with the Creative Elements stamp set that I earned for FREE through Stampin' Up. It's one of the perks of being a demonstrator!!!! I love this stamp set! At convention, I saw so many cute samples made with this set that I just had to have it!!!! Creative Elements Stamp set #122645 (W) $40.95 or #122647 (C) $30.95. I sponged the flower with chalks and cut it out.